You’re not alone! One of the most common questions we hear is ‘What do you have to help with Jock Itch?’ And we do have some products that our customers tell us work very well for them. First, let’s address what we’re dealing with! Jock Itch is caused by a fungus named Trichophyton rubrum, that thrives in the hot, moist areas of the groin, and between folds of skin. The Jock Itch Fungus is most common among people who are physically active and/or work up a sweat. That would include people who work outdoors all day, sports-oriented individuals (that’s where the term ‘jock itch’ originated), as well as people who sit for long periods and trap perspiration between the folds of their skin. An example of that last group would be truckdrivers who have to drive 12-14 hours without a shower. And just FYI, women are not immune to the jock itch fungus, it just affects them differently, and is not as frequently diagnosed. Here’s the good news. The Jock itch fungus only affects the top layer of skin, making it very possible to treat it using just a good, natural soap – like we just happen to have! Our Jock Itch Soap is made in our regular recipe level of moisture – no goat milk, no shea butter, no luxurious oils because the goal is to REDUCE moisture in those areas, not increase it. And it's loaded with plenty of Tea Tree essential oil because of it’s natural anti-bacterial and anti-fungal qualities. 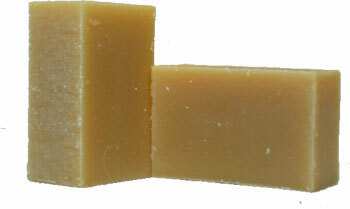 So hit the shower and wash the infected area thoroughly with our Jock Itch soap. Make sure you dry thoroughly. If you want to give the fungus a double whammy, we also have Black Walnut Anti-fungal Salve and Tea Tree Salve. Try either or both in one, two, or four ounce sizes. We’ve also put together a Jock Itch Treatment Sample Bag so you can try small amounts of all three products and start using them right away. The Jock Itch Treatment Sample Bag includes 1 bar of Soap, and small sizes of both Black Walnut Antifungal Salve and Tea Tree Salve for $14.95. If your case of Jock Itch is one that requires medical treatment and prescription medicines, our natural soap and natural herbal salves can still be used to support the treatment recommended by your doctor. Olive, Coconut, Palm and Castor Oil, Sodium Hydroxide (Lye), Mountain Spring Water, 100% natural Tea Tree Essential Oil.